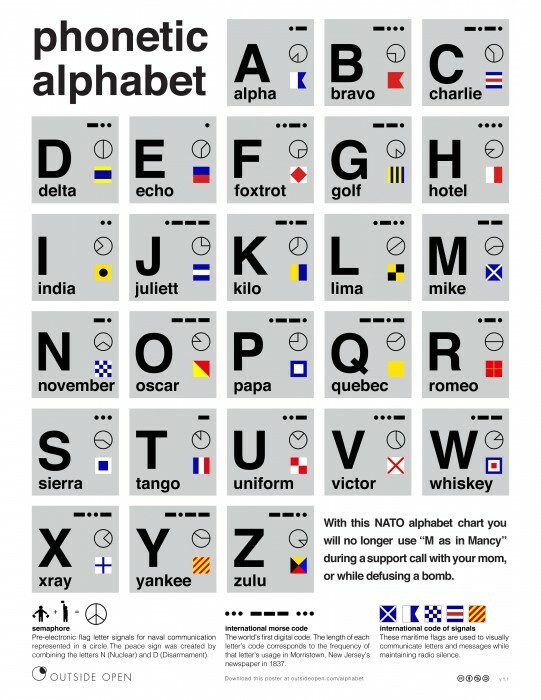 Phonetic, morse code, semaphore and shipping flags alphabet. Over at my day job, we recently released the results of attempting to solve an interesting design problem. Our goal was to produce an informational piece which solved the problem so often faced while working with people over the phone, namely spelling. You can get a free digital or printed copy at Outside Open.